I wrote those words in my travel journal nearly two months ago. Arriving in the “yoga center of the world,” I honestly expected a warm, welcoming community because of the fact that everyone is doing pretty much the same thing and it’s all based on ego-lessness. That’s the one basic concept I’ve always understood about yoga and meditation. BAM. One more lesson on not having expectations. It was especially jarring because I come from such a wonderful, unpretentious yoga community in Portland, Oregon (what’s up, Yoyos?!). The pompous attitude hit me like a bag of bricks. Fortunately, for my sanity, the 10 people that signed up for the same teacher training course were absolutely wonderful. To the point that by the end we all felt incredibly lucky to have had such a great group. When you’re spending at least 12 hours a day with people, it helps that you all like each other. Ultimately my intention to be indifferent to the snobbery proved worthwhile — Rishikesh only became more magical over time. Waking up to monks chanting at 5 am every day is the best alarm clock I’ve found to date. People willingly bathing in the Ganges regardless of the cold temperature is a form of devotion I hadn’t previously witnessed. I’m not going to write about my Teacher Training experience here because that will soon be published elsewhere All I will say for now is that I’m very glad I decided to head to India for my 200 hour Ashtanga course. It’s interesting to immerse yourself into eating, sleeping, and breathing yoga for a month in a place that is pretty much dedicated to helping you along your journey. As one of my teachers likes to say, “You didn’t come here to change yourself. 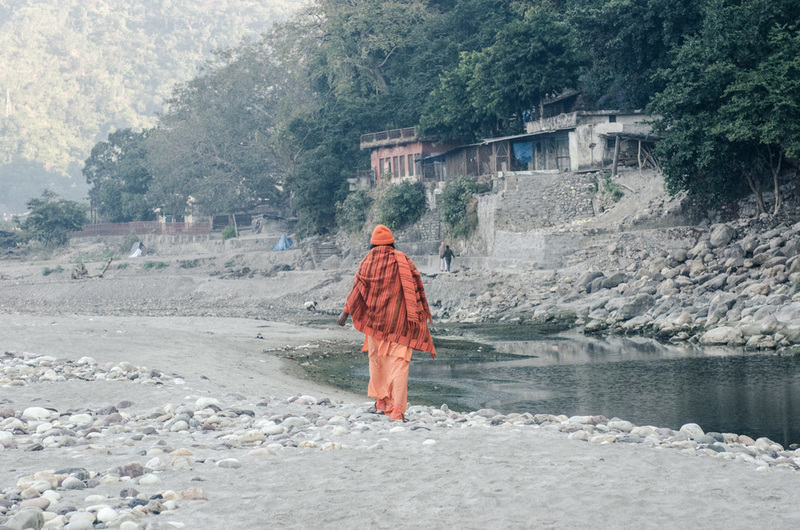 You came here to find your true nature.” After six weeks in Rishikesh, I definitely agree with that statement. 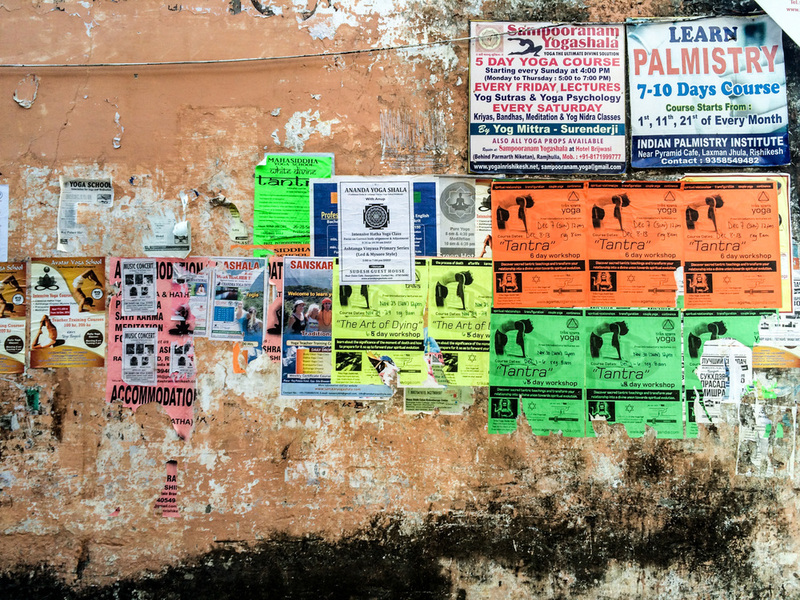 Rishikesh isn’t the fast track to enlightenment. It’s more like a high speed train to understanding yourself better. It’s a place that opens you up to meeting the right people who will unsuspectingly point you in the right direction and give you food for thought to make the right decisions in your life. Like, for example, the reiki energy healer telling me things about myself, without asking me any questions, that he couldn’t possibly know and completely blowing my mind in the process. Indeed Rishikesh is a place to visit for those interested in the yoga and meditation lifestyle. Just go with a grain of salt and an open heart — seemingly contradictory, but that’s India at its finest. I don’t know if it’s completely cheesy and predictable, but the dilapidated and overgrown ashram of Maharishi Mahesh Yogi where the Beatles studied transcendental meditation in the 60′s is my favorite place in Rishikesh. About a 10 minute walk from my hotel in Ramjula, this peaceful yet creepy place was a welcome respite from the constant chatter about Pranayama, cleansing techniques, and chakra meditation theory. After being head butted by a she-cow with a nasty look in her eye, I am now slightly terrified of the sacred beasts of India. I did not live in an ashram during my TTC. I lived in the lovely Hotel Narayana Kunj. The photo below is of one of the prettiest yoga studios I’ve ever seen. Unfortunately we were only able to practice in this studio a handful of times because it is dedicated to yoga retreats at the hotel. However I did get in two weeks of self-practice in this gorgeous space after the course was finished. Below is the view from my terrace at sunrise. Traditionally Ashtanga is not practiced on the new moon, so instead we went to the Ganga River for a group meditation. The view from the roof of Hotel Narayana Kunj at sunset.